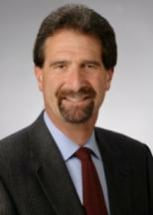 Mr. Grossman specializes in complex business litigation, representing either plaintiffs or defendants in the trial and appellate courts, with particular expertise in disputes involving antitrust, unfair competition, commercial fraud, breach of contract, trademark, copyright or trade secret issues. Also, in his capacity as founder of Intelligent Justice, Mr. Grossman has a particular focus on innovations in alternative dispute resolution procedures that more swiftly and efficiently resolve complex legal disputes. Antitrust Litigation Against Microsoft — Multiple cases on behalf of Microsoft's software licensees and a separate case on behalf of a competitor for unlawful restraint of trade and unfair competition in the operating system and key business software markets. Result: $182 million settlement after six weeks of trial. Cytec Antitrust Litigation --- Represented a subsidiary of Cytec Industries in antitrust litigation against its principal carbon fiber suppliers for price fixing and illegal allocation of customers. Mills v. Cor-O-Van Records Management, Inc. --- Defended Cor-O-Van against antitrust class action claim. Chinese Hospital v. California Pacific Medical Group — Represented Chinese Hospital in antitrust and unfair competition claims arising out of exclusionary practices in the San Francisco health care market that threatened the future economic viability of the hospital, its medical group and its health plan -- and hindered its ability to serve the surrounding ethnic community. Visa USA Indirect Purchaser Antitrust Cases — Co-counsel for Visa in defense of consumer class action cases in numerous states alleging anti-competitive practices in the credit card and debit card markets. Intergraph Corp v. Intel Corp. — Co-counsel for Intergraph in prosecuting antitrust, patent, contract and tort claims against Intel. St. Luke's Hospital v. Cal. Pacific Medical Ctr. and Sutter Health --- Represented St. Luke's Hospital in an antitrust claim arising out of exclusionary agreements that unreasonably restrained trade and threatened the client's future economic viability. Result: Settlement that required a multimillion-dollar cash infusion and a future affiliation to preserve the client as the primary source of hospital services for the surrounding community and its disadvantaged residents. Datasafe Publications, Inc. v. Galacticomm Technologies, Inc. --- Defended Galacticomm against antitrust claims for alleged resale price maintenance and price discrimination. LMP Corporation v. Universal Mfg. Corporation — Represented plaintiffs in seven-month jury trial concerning Universal's fraudulent promise to use its best efforts to commercially develop and promote clients' patented energy-saving lighting technology. Result: $96 million verdict in favor of clients; affirmed on appeal. Chevron USA, Inc. v. Digital Equipment Corporation — Represented Chevron in $32 million claim in connection with the failure of an extensive computer systems integration project. Result: Favorable confidential settlement recovery for client. Bridgestone/Firestone, Inc. v. Oracle Corporation — Defended Oracle against $30 million claim asserting that its software was responsible for a failed computer systems project. Result: Warranty, fraud and misrepresentation claims against client were dismissed through motions to the court. Plaintiff voluntarily dismissed all remaining claims against client. Bushnell v. Visual Information Service Corp. — Defended client in a $30 million claim arising out of an alleged contractual arrangement with its ex-CEO for a 33 percent interest in the stock of the company. Result: Summary judgment in favor of the client. Union Trust Bank v. Tele Video Systems, Inc. — Defended TeleVideo against multimillion-dollar claim concerning a failed Navy acquisition of 36,000 computers. Result: Summary judgment in favor of client. Palinkas v. Adjusters Auto Rental, Inc. — Trial of claim for unjust termination of employment. Result: Directed verdict in favor of employer client during trial. BioContacts v. Coopervision — License dispute concerning patented contact lens technology developed by R&D client and licensed to the defendant. The litigation included a conflict of interest counterclaim against individual client who served on the boards of directors of both parties. Result: Summary judgment in favor of individual client on conflict of interest counterclaim. Corporate client's affirmative claim against licensee settled favorably during trial. Zeny Computer Systems v. Acer Inc. — Defended Acer in trial of $15.1 million claim for alleged misappropriation of trade secrets in design of computer motherboards. Result: Directed verdict in favor of client on all claims at trial; affirmed on appeal. Glentech Inc. v. Berkeley Antibody Company, Inc. — Represented Glentech in claim against competitor and ex-employee for misappropriation of Glentech's trade secrets surrounding its development and production of monoclonal antibodies. Result: Settlement authorizing court-ordered permanent injunction protecting client from the adverse effects of the defendants' theft of its trade secrets. Prithvi Solutions Trade Secret Litigation — Defended Prithvi Solutions against claims for alleged misappropriation of telephone network software trade secrets and unfair competition. Result: Claims against client dismissed after payment of token settlement amount. Gracie V. Gracie — Defended corporate and individual clients in jury trial of trademark and associated unfair competition claims and represented them in pursuing their trademark counterclaims. Result: Defense verdict in favor of clients on all claims and verdict in favor of clients on one of their trademark counterclaims. Bonny Products, Inc. v. G&S Metals, Inc. — Defended G&S Metals in International Trade Commission trial of trademark infringement claim concerning the importation of kitchen utensils. Result: Verdict in favor of client. Chung Kai Industries Copyright Litigation — Represented Chung Kai Industries in multiple lawsuits against a variety of large chain retailers (e.g., Target, Kmart, Baby Superstore) for infringement of client's numerous copyrighted fabric print designs for children's clothing. Result: All lawsuits resolved through settlements providing for payment of lost profits to client and cessation of further copyright infringement. Yousuf v. Samantar –– Amicus Brief in the United States Supreme Court for the foreign minister of Somaliland on behalf of the victims of torture performed in neighboring Somalia at the direction of the former Somali Defense Minister (now residing in the U.S.) and supporting torture victims' appeal of the lower court's dismissal of their damage claims. Result: Dismissal of torture victims' damage claims reversed on appeal. Cytec Engineered Materials, Inc. v. Hercules Inc. — Appeal in the United States Circuit Court of Appeals, Ninth Circuit, seeking to reverse trial court's improper dismissal of antitrust claim for price fixing and illegal allocation of customers. Result: Dismissal of client's antitrust claims reversed on appeal. LMP Corporation v. Universal Mfg. Corporation — Opposed appeal of $96 million trial verdict in the California Court of Appeal and subsequently in the California Supreme Court. Result: Judgment in favor of client affirmed "without reservation. ".Halicki v. United Artists Communications — Opposed appeal to the United States Circuit Court of Appeals, Ninth Circuit, of the summary judgment granted in favor of client on Lanham Act unfair competition claim. Result: Judgment affirmed in an appellate decision establishing that the Lanham Act's unfair competition provisions only regulate practices between actual competitors. Microsoft Cases I-V— Opposed appeal of $1.1 billion settlement by class member objector. Result: Fairness of settlement upheld on appeal. Marietta Coal Co. v. Lindley — Opposed appeal to the Ohio Supreme Court of an Ohio Board of Tax Appeals decision denying a personal property tax exemption for pollution control equipment at a multimillion-dollar coal processing facility. Result: Adverse decision reversed and tax exemption granted to client. ESI Corp. v. Lucero Corp. — Complex real estate and commercial leasing dispute adjudicated by panel of three arbitrators selected through the American Arbitration Association. Result: Arbitration decision in favor of client. E.B. Katz Co. v. Heather Hill Nursing Home — Construction contract dispute adjudicated by panel of three arbitrators selected through the American Arbitration Association. Result: Arbitration award to contractor client. Bushnell v. Visual Information Service Corp.
Union Trust Bank v. Tele Video Systems, Inc.
Palinkas v. Adjusters Auto Rental, Inc.
Zeny Computer Systems v. Acer Inc.
Glentech Inc. v. Berkeley Antibody Company, Inc.
Bonny Products, Inc. v. G&S Metals, Inc.
Cytec Engineered Materials, Inc. v. Hercules Inc.